The Ontario Employer Job Offer In-Demand Skills Stream gives foreign workers with a job offer in a target occupation the opportunity to live and work permanently in Ontario. Ontario's Employer Job Offer In-Demand Skills Stream allows the Ontario Immigrant Nominee Program (OINP) to nominate foreign nationals who have the required work experience to help them successfully establish and integrate into Ontario’s labour market and communities. Foreign national can only apply if they have received a permanent and full-time job offer from an Ontario employer, met all eligibility criteria, and received an Employer Form from the prospective employer. Work Experience: Have one year of cumulative work experience in Ontario obtained within the three years months prior to the date of the application submission. The work experience must be paid, full-time (at least 1,560 hours per year) or the equivalent amount in part-time in Ontario, and must be in an eligible occupation. Note: seasonal work experience is not eligible to meet the work experience requirement. Part-time equivalent work means at least 15 hours of work over a period of one week in one job and consists of at least 1,560 hours of paid employment in two years, or at least 30 hours of work over a period of one week in multiple concurrent jobs and consists of at least 1,560 hours of paid employment in one year. Self-employment experience: Applicants may claim work experience obtained while self-employed to meet the minimum work experience requirements. The self-employment experience must have been paid, full-time (or the equivalent in part-time), and in the same NOC code as the position of the job offer. Note: The OINP will require documentation to verify that the work experience is in the same NOC as the position being offered. Education: Have completed the equivalent of a Canadian secondary school (high school) education or above, as demonstrated by a valid Educational Credential Assessment (ECA). Test d'Evaluation Du Français (TEF) or Test de Connaissance du Français (TCF) for French testing. Settlement Funds: Have sufficient funds and/or income in Ontario to cover the settlement costs. This requirement can be met by one or a combination of factors listed by the OINP, such as bank statements, annual earnings from ongoing employment in Ontario, and/or a job offer in Ontario. Intent: An intention to reside in Ontario by providing a list of established ties to Ontario. 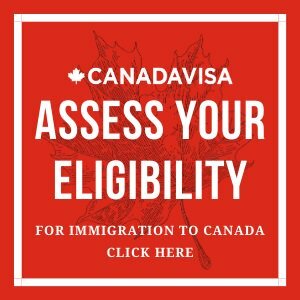 Legal Status: If residing in Canada at the time of applying, applicant must hold legal status (i.e. a visitor record, study permit, or work permit) and should maintain that status until nomination. Meet or exceed the median wage level for the occupation in the region of Ontario where the applicant will be working. If the applicant is already working in the position of the job offer, the wage offered must meet the median wage level and be equal to or greater than the current wage. Foreign workers looking to apply to the In-Demand Skills Stream of the Ontario Employer Job Offer Category must first review the eligibility criteria and prepare the required supporting documents in English or French. Once a registration is complete, registrants have 14 calendar days to complete and submit the application or the registration will expire and become withdrawn. Applicant do not have to complete the application in one session. The applicant may assign an authorized representative to complete the application on his or her behalf. All supporting documents must be scanned and ready for upload. Applicants are responsible for the translation and notarization of any supporting documents that are not in English or French. It is the responsibility of the applicant to locate a certified translator accredited by the Association of Translators and Interpreters of Ontario (ATIO) and/or obtain a notarization of documents translated by a translator not certified by the ATIO. If an applicant located in Ontario is not able to find a certified translator accredited by the ATIO, the translation must be notarized. A letter explaining the reasoning and efforts taken to locate a certified translator must be included with the application. If applying from outside Ontario, the translation must be notarized. If deemed insufficient, the OINP may require applicants to obtain a translation from a certified translator accredited by the ATIO. Translations completed by the applicant, their representative, or others with personal ties to the applicant will not be accepted even if these individuals are considered certified translators. The OINP considers applications incomplete if incorrect supporting documents are provided or documents requiring translation are not certified or notarized. The OINP refunds application fees if an application is deemed incomplete. Applicants must notify the OINP of any changes to personal information (as outlined in the program guide). Applicants who believe the OINP's decision was made in error may request an internal review of the application within 30 calendar days of receiving the notice of the decision (if residing in Canada) or within 60 calendar days if residing overseas. The request must not include any evidence that was not submitted to the program before the decision was made unless the evidence was not reasonably available at the time of applying. The OINP's internal review decision is final. 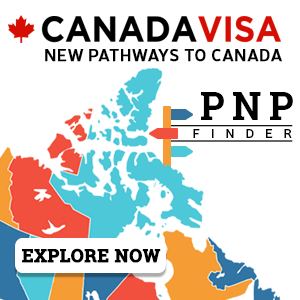 If nominated by the OINP, the applicant will obtain a Letter of Nomination (Nomination Approval Letter, a work permit support letter, and a Confirmation of Nomination (OINP Certificate of Nomination). The OINP requires that nominees continue to meet the conditions of their nomination, including the intention to reside in Ontario and employment in the approved position. It is important to consult the OINP's dedicated guide for details on obligations if there are changes to the conditions of employment. Applicants must inform the OINP if there are changes to the job offer conditions, such as position title, duties, employment location, wages, and/or hours of work. If employment is ceased either by the applicant or the employer, the OINP must be notified. While nominations are valid for a six-month period, the nominee may submit a request for an extension of the Nomination Certificate depending on circumstances approved by the OINP.